First, we’ll learn about the fantastic Finnish Horses. Then we’ll go through the basics of riding and head for the nearby fells. We’ll go as slowly or fast as needed. 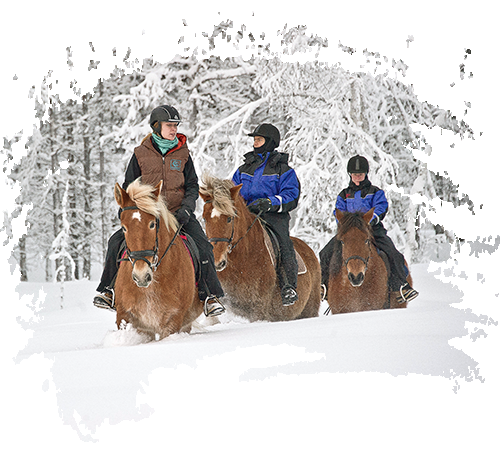 The Finnhorse is a calm breed, however, on longer excursions, previous riding experience is necessary. One must control the horse whether she is galloping or trotting. Afterwards, we’ll enjoy a nice cup of coffee with a sweet treat.